While the playoffs are now underway, many teams have already started their offseason planning. What storylines lie ahead around the league in what is shaping up to be a likely busy NHL offseason? Next up in our Offseason Keys series is a look at the New Jersey Devils. After a surprising run to the playoffs last year, expectations were elevated in New Jersey for 2018-19. However, injuries to key players and ineffectiveness between the pipes had them in the basement early on and they never really recovered. They received one piece of good news last week as they were victorious in the Draft Lottery, moving up two spots to land the number one selection. Who they take with that pick is one big decision they’ll have to make; here’s what else to watch for in New Jersey. This was on the list of keys last year as well but the Devils didn’t make any defensive additions beyond Egor Yakovlev who was a player on the fringes of the roster and didn’t make much of an impact. Not surprisingly, their group struggled this season and multiple additions need to be made. There are some decent young players in the system. Damon Severson has established himself as a top-four option while Will Butcher has shown some offensive skills. 2018 top pick Ty Smith could push for a roster spot as soon as next season and will certainly be a part of their long-term core. Beyond those three, there are some question marks. To make matters worse, both Sami Vatanen and Andy Greene sit a year away from unrestricted free agency. It’s plausible that if extension talks don’t go anywhere with Vatanen that he could be on the move some point next season. 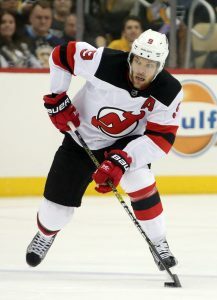 Greene has only ever played in New Jersey and he could certainly sign to stick around for another year or so but he’ll be 37 at the end of October so he’s not a long-term option. There has been a need to add a top-four blueliner for a while. If they want to get back to contending for a playoff spot, they’ll at least need to add one this summer and could certainly stand to add a second one. If not, shoring up their depth and bolstering their third pairing will be necessary. The 2018 offseason was quiet in terms of adding defensemen. The 2019 summer can’t be. Although he won’t be repeating as the Hart Trophy winner in 2019, a long-term contract extension for winger Taylor Hall is undoubtedly at the top of the priority list for the Devils this summer. While he wound up missing the final 47 games of the season due to a knee injury, he was averaging his second-best point per game average of his career at the time (1.12, only trailing the 1.22 he had the year before). Needless to say, the 27-year-old will be in line for a significant raise on his current $6MM AAV. While a deal officially can’t be signed until July 1st, expect the two sides to have had significant discussions before then. If it appears that a deal can’t be reached or Hall suggests he’d like to test free agency in 2020, the Devils will likely be forced to turn around and trade him. If that was to be the case and the right package was to present itself around the draft, Hall would at least be a player to watch for. 2017 top pick Nico Hischier is also eligible for a contract extension in July. He has had a decent showing through his first two NHL seasons although not quite at the level that some of his counterparts from previous drafts have had. Accordingly, his contract isn’t going to be near the level of extensions that players like Connor McDavid and Auston Matthews, the two prior number one picks, had. However, given the expectation that the post-ELC marketplace is going to change considerably this summer with so many top players in need of new deals, GM Ray Shero may want to try to get a deal with Hischier done first before the salaries really start to escalate. This was also on the list of keys last year as well and not a whole lot has changed since then when it comes to Pavel Zacha. A hot finish to the season when the team was well out of contention allowed him to equal his career high in points. However, that only meant that he hit the 25-point mark. For a center picked sixth overall back in 2015, that’s not very good. Hischier has staked a claim to the top center spot. Projected number one pick Jack Hughes will likely one day ascend to that spot and should move past Zacha on the depth chart in no time. Travis Zajac still has two years left on his deal and he isn’t likely going anywhere. John Quenneville could push for a full-time roster spot next season and Michael McLeod, another former first-rounder, is in the mix as well. Long story short, there isn’t a place in the lineup for Zacha at his natural position. While it’s possible that he could move to the wing, doing so could potentially further devalue him around the league, especially if he isn’t productive. Having said that, they clearly believed in his offensive upside when they drafted him so they could believe there’s another level or two to his game. Zacha will no longer be waiver-exempt next season so if he’s a bubble player in training camp, this could become a storyline pretty quickly. If Shero expects to make a few additions up front this summer, Zacha’s spot could be in jeopardy pretty quickly. Is he still a core part of their future? If the answer is no, they may be best served to try to trade him this summer rather than potentially being forced into that situation in September or October. Saturday: The Pittsburgh Penguins have made a splash on the European free agent market. CapFriendly reports (Twitter link) that Pittsburgh has signed center Oula Palve to a one-year, entry-level contract. The deal will carry an NHL salary of $700K (the league minimum) as well as a maximum $92.5K signing bonus and games played incentives of up to $132.5K. The 27-year-old had a strong first full season with TPS Turku in the Finnish sm-Liiga, leading the team in scoring with 16 goals and 35 assists in 53 games. His 51 points were a career high and ranked tied for sixth overall in league scoring. He’s a bit of a late bloomer as only three years ago, he was a regular in the Mestis, Finland’s second division and was the top scorer in that league back in 2015-16. This will be Palve’s first foray into North America and he will be going to a team whose fourth line has been in flux over the last couple of years. Veteran Matt Cullen isn’t expected to return which creates a vacancy down the middle that Palve will likely have a chance to fill. If he doesn’t make the team, he will be waiver-exempt for the 2019-20 season and regardless of what happens, he will once again be an unrestricted free agent in the 2020 offseason. Over the past few days, the NHL has been revealing the finalists for their end-of-season awards. Today, they announced the top three for the Norris Trophy balloting. Tampa Bay’s Victor Hedman, Calgary’s Mark Giordano, and San Jose’s Brent Burns are up for the award, given to the defenseman who demonstrates throughout the season the greatest all-around ability in the position. Hedman will be looking to make it two straight years with the award after winning it for the first time in 2018 while it is his third straight time being a finalist. If he gets the nod, he’ll be the first back-to-back winner since Nicklas Lidstrom won three straight from 2006 through 2008. Injuries limited him to 70 games this season but he was the undisputed leader of Tampa Bay’s back end that allowed the fifth-fewest goals in the league which played a big role in their 62 regular season victories. While the postseason doesn’t factor into the voting, his injury and eventual absence played a big role in their early departure at the hands of Columbus. Giordano finished second among defensemen in scoring this season with a career-high 74 points in 78 games. For perspective, his point total was in the thirties in the previous two years. He also led the league in plus/minus with a +39 rating while finishing in the top-five in five-on-five shot differential among defenders with at least 1,000 minutes of playing time. The fact that Calgary also went from missing the playoffs a year ago to finishing first in the Western Conference will also help his cause. This is Giordano’s first nomination for the award and could become only the fourth defenseman to win it at the age of 35 or older. Burns, who won the award back in 2017, led all blueliners in scoring with 83 points in 82 games as well as game-winning goals (six) and shots on goal (300). He’s only the fourth defender since 1995-96 to average a point per game and is only the third one in NHL history to lead his team in scoring for three straight years. His play in his own end can be shaky at times but he logged over 25 minutes a night of ice time and his production was higher than it was when he won the award with a 76-point campaign. The winner will be announced on June 19th at the annual NHL Awards Show in Las Vegas. 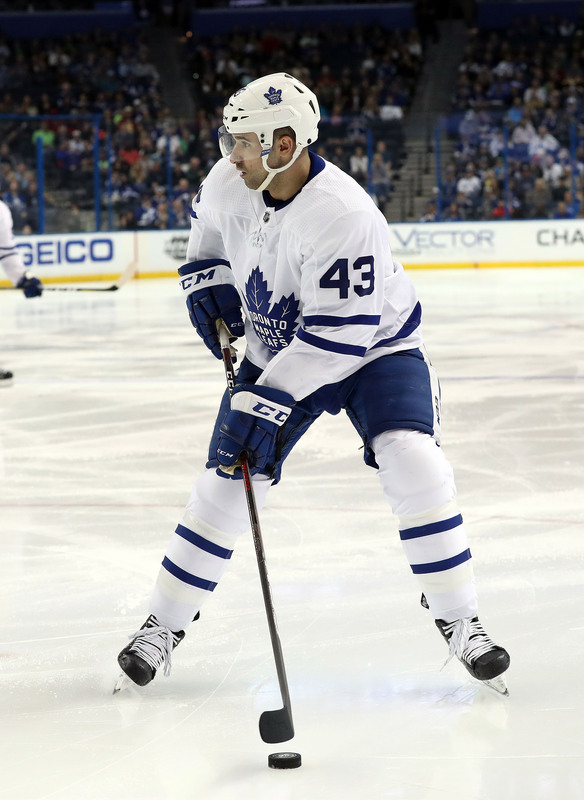 This edition of the PHR Mailbag looks at what’s next for the Flyers, Nazem Kadri’s future in Toronto, Mike Smith’s struggles with Calgary, Ken Holland’s situation in Detroit, what Buffalo needs behind the bench, and the vacant Rangers presidency. Questions that were submitted that aren’t covered here will run in a separate mailbag piece next weekend. FortArnold: Disappointing season for the Flyers. They will have money to spend and most likely need to find an opening in their lineup for Morgan Frost. Where do you see them looking to add to this team and who may be sent packing? Earlier this month, GM Chuck Fletcher acknowledged that his defense corps could get older next season which is a pretty strong inference that they intend to add to that position. They have a very strong foundation of young blueliners in Shayne Gostisbehere, Travis Sanheim, Ivan Provorov, and Robert Hagg but none of those players are really ready to be true anchors of a back end at this time. Aside from Erik Karlsson, there aren’t any defenders like that available on the open market so I wouldn’t be shocked if they turn to the trade market to get a number two or three rearguard that’s signed for a few years. Doing that wouldn’t give them that anchor player but would give them very strong depth throughout the group and as we’re seeing, teams with strong defensive depth can still be successful even without a true number one option. I also see them looking to add a second line center this summer. Frost or Nolan Patrick should be that option down the road but he’s not ready for that role just yet while they probably want to keep Claude Giroux on the wing. Doing so would also allow them to integrate Frost in as a winger, allowing him to develop without some of the tough defensive responsibilities right away. They should be able to fill that void in free agency. As for who could go, I don’t expect a whole lot of departures. I know Gostisbehere has been in trade speculation before but moving him off a down year isn’t deal. Their big-ticket players aren’t going anywhere nor will they need to move anyone out for cap reasons. If they have to trade for that impact defenseman, I could see the 11th overall pick being in play and someone like winger Oskar Lindblom could work as a sweetener in a deal. But beyond that, I suspect the departures will simply be the players whose roster spots are dislodged by the offseason acquisitions (players like Phil Varone and Andrew MacDonald). JDGoat: Has Kadri played his last game in Toronto if they lose the series? I don’t think so. I thought GM Kyle Dubas passed up on the perfect opportunity to deal him last offseason. They had just landed John Tavares and Ryan O’Reilly had been dealt which left the market for impact centers basically empty. He was coming off another 30-goal season and had clearly established himself as a top-six pivot. As a result, Toronto would have moved him at peak value. Fast forward to today. As expected, Kadri had a down year offensively (playing on the third line will do that) and also dealt with a concussion. And as we all know, his suspension history is starting to be a bit concerning as well. While I have no doubt that there would still be a significant trade market for Kadri, his value has still undoubtedly dipped compared to last summer. If Dubas didn’t want to move him then, he won’t want to move him now. Yes, the Maple Leafs will need to free up some salary cap room this summer with some big contracts about to hit their books but there are other players they’ll look to move to alleviate those concerns. (Patrick Marleau comes to mind as a trade candidate after July 1st to a team looking to get to the cap floor while spending less than that on salaries.) Kadri’s leash is certainly smaller now but he should still be in Toronto in October when next season starts. sovietcanuckistanian: How short of a leash does Mike Smith get in the playoffs before they switch him out? He looks a little vulnerable and – on paper at least – seems to be the weak link on a potential Cup contender team. Thanks again sir. You were onto something with this question (which was asked back when this series was still close). Smith looked shaky in some moments but I can’t put all the blame on him. Calgary’s defense corps is supposed to be one of the top groups in the league and they allowed more than 50 shots in back-to-back games. I think that made it difficult to make a change. Sure, he coughed up six in Game Three but he made 50 saves so it’s tough to make the case to pull him. He follows that up with 49 saves on 52 shots the next game which makes it nearly impossible to put David Rittich in for Game Five. Smith wasn’t great at times in the series but he didn’t get a lot of help either. Goaltending was the one big weakness that the Flames had during the year and there wasn’t a whole lot they could do about it as no starting goalies were traded throughout the year. Smith is a free agent this summer and I expect Calgary will go in a different direction with several other starting goalies likely to be out there on the open market. Connorsoxfan: Why is Holland staying on in Detroit? Haven’t there been a ton of Seattle rumors? That’s not a realistic option anymore, right? Seattle is still two years away from starting up so they don’t really need a GM or a full-time hockey operations staff for another year. In terms of other GM vacancies, there’s only one in Edmonton and Holland has already informed them he’s not interested in that job, per a report from TSN’s Darren Dreger (Twitter link). With really nowhere else to go, why not stay in Detroit? Holland can use the upcoming season to decide if he wants to stay as an advisor and remain with the Red Wings or if the itch to be a GM returns. If it’s the former, he can stay where he is and if it’s the latter, his contract will be up right around the time that Seattle will be hiring and by then, there may be another vacancy or two around the league as well. sabres3277: Which direction do the Sabres need to go for a head coach?? A veteran coach or someone else?? In this day and age, there isn’t much appetite to bring in a veteran coach with the reputation of being a disciplinarian but that’s what I think they need. Their young core needs some structure and can’t be allowed to just willfully coast at times which is what happened down the stretch. It’s true that these types of coaches tend to have a short shelf life but let’s face it, all Buffalo coaches seem to have a short shelf life. I think someone like Dave Tippett makes some sense for them. He has some experience working with younger players but can also crack the whip at times. It’s notable that he hasn’t been mentioned in some of the various head coaching searches around the league though so perhaps he’s enjoying his time with Seattle and may have some assurances of a role on that staff when the team is closer to debuting. Whichever route they wind up going, GM Jason Botterill needs to do a better job of supplementing their core. He has made a couple of moves to help their defense but it still needs work. The forwards need a better supporting cast to take some of the pressure off. If those things don’t happen, it may not matter who gets hired as a flawed roster can only go so far, especially in a tough division with three of the top teams in the league at the moment. mz311: With Yzerman now in Detroit, who are the top options to replace Glen Sather as the Rangers’ President? As things stand, it appears the list of options begins and ends with Columbus team president John Davidson. The long-time Ranger has had success in that role with both the Blues and Blue Jackets and certainly has familiarity with New York during his time with the Blueshirts. On the surface, I think he’d be a great fit to replace Sather. Larry Brooks of the New York Post points out that the Rangers haven’t been searching for prospective candidates beyond Davidson and Yzerman and aren’t even doing due diligence on other options. That suggests that they’re pretty confident that they will wind up with Davidson whenever Columbus is ousted from the postseason. If that falls through, I wonder if they’d take a run at Trevor Linden who held that position with Vancouver. He’s comfortable with a rebuilding situation having overseen one with the Canucks and didn’t deviate from his plan to the point where he left when ownership was reportedly seeking a quicker turnaround. I think he’d be a good fit in that role for them but it certainly seems like they believe they will wind up with Davidson when all is said and done. The Golden Knights made a splash in Russia earlier this month with the signing of winger Nikita Gusev. Now, it appears they have their sights set on winger Ilya Mikheyev. A report from Sport-Express in Russia suggested that he has agreed to terms with Vegas but Sport-Express writer Igor Eronko clarified (Twitter link) that they are interested in signing him but Mikheyev has other NHL offers on the table and has yet to make a decision. The 24-year-old recently wrapped up his best season in the KHL, picking up 23 goals and 22 assists in 62 games with Avangard Omsk. He was even more productive in the postseason, collecting 11 points (4-7-11) in just 13 contests, good for fourth on the team in scoring. Eronko notes that he is also an effective penalty killer which would bode well for his chances for making it as a bottom six player in the NHL. Mikheyev is still subject to the entry-level system but his initial contract can only be for one year with a maximum base salary of $925K, including a 10% signing bonus. As he isn’t eligible to play in the NHL this season since he wasn’t on a Reserve List before the trade deadline, he can’t sign a 2018-19 contract and burn it immediately since the regular season has already passed. (Gusev was able to do so since he was on Vegas’ Reserve List, making him postseason-eligible.) Mikheyev’s KHL contract doesn’t expire until the end of April so an official announcement on where he winds up isn’t likely to come for a couple more weeks. Canucks defenseman Ben Hutton had a nice bounce-back season in 2018-19. After spending a lot of time as a healthy scratch the year before, he was viewed as a potential trade candidate heading into the season. Instead, he played a key role on Vancouver’s back end, logging over 22 minutes a night, the second-most on the team. He played well enough that he may have wound up making himself a trade candidate this summer, suggests Postmedia’s Patrick Johnston. After looking like a possible non-tender option last summer, Hutton is a safe bet to receive his $2.4MM qualifying offer. (While he received $2.8MM in salary last season, $400K of that was a signing bonus which isn’t factored into a qualifying offer.) Johnston notes that Quinn Hughes will be a regular next season while the team intends to bring back Alex Edler. Prospect Olli Juolevi also figures to be in the mix in the near future which gives the Canucks solid depth on the left side and potentially makes Hutton expendable in the coming months. Jets winger Nikolaj Ehlers left Thursday’s Game Five late in the third period after blocking a point shot and he did not take part in today’s gameday skate, notes Ken Wiebe of the Winnipeg Sun (Twitter link). While head coach Paul Maurice expressed some optimism that Ehlers would be available to play, Par Lindholm is expected to take the warmup in case Ehlers can’t suit up. While Ehlers has yet to score in 20 career postseason contests, he still deepens Winnipeg’s attack and gives them another scoring threat after putting up his third straight 20-goal season. Sharks winger Micheal Haley has resumed skating, reports NHL.com’s Nick Cotsonika (Twitter link). However, he did so without his full equipment which suggests he’s still a little while from returning. Haley sustained an ankle injury in the third game of their first-round series against Vegas and while he was held off the scoresheet, he contributed physically with eight hits in those three contests despite averaging just over six minutes a night of playing time. While the Capitals are only saying that T.J. Oshie is out indefinitely, it appears he’s out on a long-term basis. Isabelle Khurshudyan and Barry Svrluga of the Washington Post report that the winger is unlikely to play again this postseason, no matter how far Washington advances. The team is calling Oshie’s injury an upper-body issue but he was seen in a sling following Game Four of their first-round series against Carolina after taking a hit from Hurricanes winger Warren Foegele. While the Caps were hoping for some form of supplementary discipline on the hit, the Department of Player Safety opted not to hand anything down. Oshie’s loss is a big blow to deal with for Washington. He played a key role in their Stanley Cup run last year and finished in the top five in team scoring during the regular season despite missing 11 games due to a concussion; his 0.78 point per game average was the second-best of his career. He’s the second core player to have a premature end to his season after defenseman Michal Kempny underwent surgery to repair a torn hamstring last month. Of course, the injuries in this series aren’t limited to the Capitals. The Hurricanes find themselves without wingers Andrei Svechnikov (concussion), Micheal Ferland (upper body), and Jordan Martinook (leg) and none of them are expected to be in the lineup as the series resumes later today.